You have arrived at your destination says Siri in that pleasing yet authoritative tone where another friend’s pet in trouble. Your friends give you keys to their place allowing you go in and treat their pet while they work. What are friends for? A vet friend is a great friend because he loves his friends animals like they were his own. Friends compensate friends by knowing who owes who a favor or dinner or whatever. It doesn’t really matter. Good friends have each other’s back. You are no different. You are the best friend. The therapist. The guidance counselor helping your friends through all pet trials and tribulations giving the honest solution knowing there are no punches pulled when it comes down to brass tacks. They trust you, friend. With trust comes a lot of responsibility. To do the right thing. The correct thing. Your friends rally around you when your pet is sick. The true friends do. They console and backstop you. They are there for you. Every good friend comes running to help. All the friends on a block in Huntington Park came running. They all wanted to help Diego (not his real name). It was a bath gone wrong. One friend tried dish soap. Another poured canola oil. All they made was a soapy oil dog salad right there in the tub. 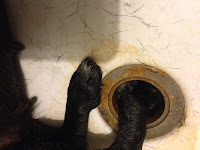 The poor chihuahua was screaming and writhing unable to get his foot from the drain. One friend called Human 911 and the firemen came running. The brave folks in blue brought their tools but all four of them were no match for a flailing, screaming little dog. You are summoned fresh off another housecall a mere hop skip and jump down the 110 fwy and arrive to find a cluttered one-room apartment with friends and firemen huddled around the poor dog. The owner is so glad to see you as you ask the fire folks to step back. You heavily sedate the trapped creature and in minutes Diego is out of pain and fear. You are able to manipulate him but are unable to manually remove the dog’s middle toes from the drain. 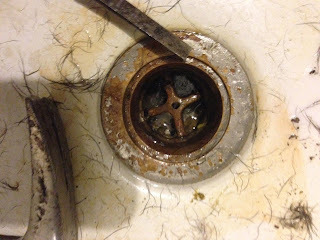 You employ the use of a chisel and hammer and are able to safely cut the brass cross that has entrapped his toes freeing him from the drain. Fortunately there was minimal injury to the dog’s toes from the entrapment. You reverse Diego’s sedation and recovery is uneventful. You bid your farewell and thank the firemen and friends for their support. You doze off in attempts to finish this blog entry around 1:30AM this lovely Saturday evening (Sunday morning) hoping to join your family in slumber and that’s when the Service calls. There is a sad woman on the phone who explains that her poor boyfriend’s beagle hasn’t eaten for 3 days and is in distress. She explains he has been suffering from a heart ailment and thinks the meds are no longer working or he’s simply refusing them and that the time has come. She says that he is having a hard time making the decision. You agree to come help the dog out of misery on the other side of LA County that morning and arrive in good time to be greeted at the vehicle by the girlfriend’s mom. “I am the dog’s grandmother,” she proclaims to you. You are asked if you will indeed check the dog out before proceeding and you assure her you will as she begs off as to not come in with you. You observe a bustling crowd of folks inside the fully lit modern home with a full parking area about it. The Service calls again and asks if you are near the housecall and you advise you are outside their door. You are greeted by a lovely young girl who beckons you within. There are three young ladies and the dog’s grandmother in attendance. The dog’s owner, Jake (not his real name), greets you and is clearly slurring his words inebriated and you surmise is owed to the fact he cannot face his decision unaltered. The beagle, Yuri (not his real name either) is trotting about the kitchen as everyone observes him lap up water and sniff his food. The women all exclaim he’s eating now. See? The love for the dog is effluent. Jake’s attempt to guzzle liquor from the fridge are thwarted by the girls as they take the bottle from him. 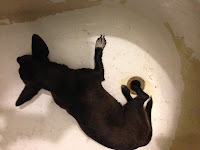 You inquire as to why you were called and Jake admits the dog has been sick for awhile and is not eating three days straight and he is sick of “water boarding” the dog’s medicines everyday ’cause he hates it and is refusing now and he needs to go. One of the young ladies presents you with Yuri’s 7 vials of pills and you are instantly reminded of your recently deceased father who had heart disease and his own arsenal of meds keeping him alive along with his dialysis treatment but Yuri is Jake’s best buddy. You ask to examine Yuri and Jake carries him to his bed where you recognize the truth that Yuri is suffering. His respirations are 70 breaths a minute when 40 is normal at rest. He has that panicked look in his eyes. The look of low oxygen. His gum color is not great. Jake exclaims wavering that he wants to do it. You agree. But there is dissent among the friends. They maintain that Jake should wait. He is in no condition to make a harsh decision. You explain to the women that Yuri’s next day will be worse. They are not listening. Jake pleads with these women and a younger brother of Jake’s pipes up and says “he is suffering and Jake wants to do it”. But they don’t want to hear it. You are in the middle of a great debate and defiance. You wish you never came out that morning. You are asked if people change their mind and you reply rarely does it happen. 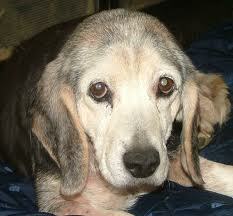 You advise the ladies with all due respect that the owner has a right to help his own dog out of misery. You even offer a trip to the emergency overnight clinic but are rebuffed since Yuri doesn’t like going the the doctor anymore. He’s been to 4 different doctors and really hates it. Jake, unable to stand his ground even with the backing from the attending veterinarian, is defeated by his friends who believe they are doing the right thing. They take the consent form from his hand and force him to sign the credit card slip for the emergency house visit alone. You apologize profusely to poor Jake and want to mention he should probably not have gotten toasted and that it ruined his credibility but you keep it as a thought. The anger against you from the others, however, is palpable your only crime suggesting that Jake was right and Yuri should not suffer without considering hospitalization. Sadly you leave the home and poor Yuri to suffer another day.